4. You will then see the Single Sign-on (SSO) Submission System log in screen (below). 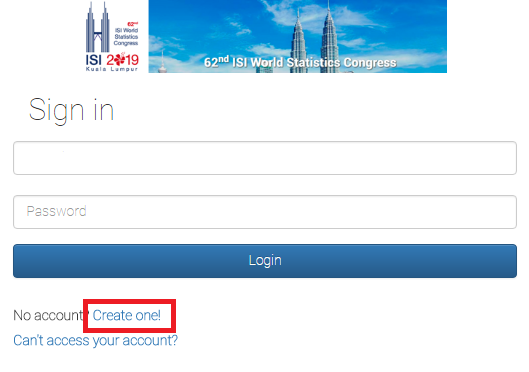 If you are not registered yet, please click "Create one" and follow the instructions to register. 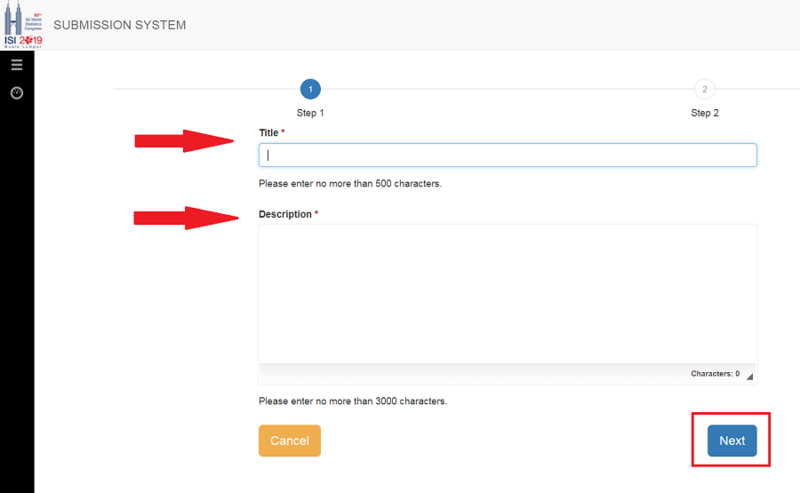 Once you received a confirmation e-mail you can log in to the system as directed in step 5.
a. 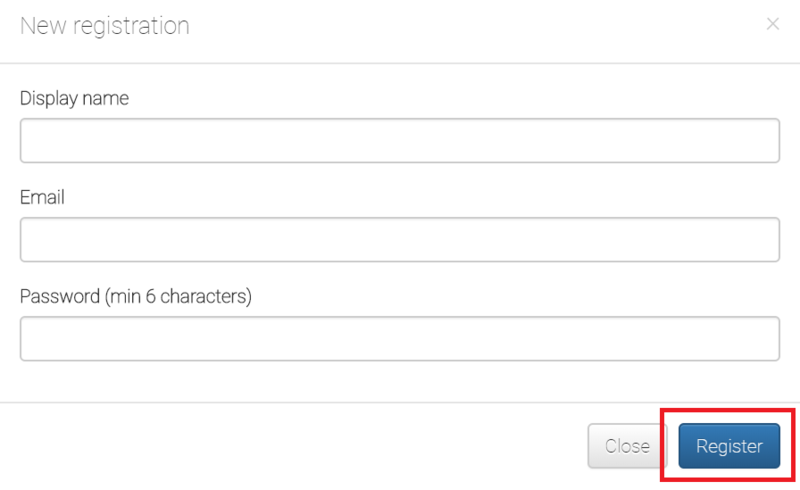 Create an account – Fill in your display name, email, password and click Register. 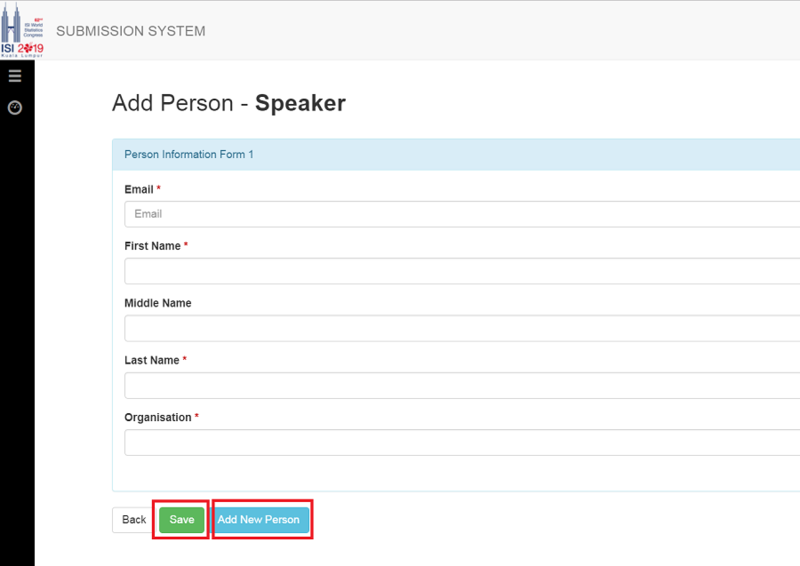 Validation email will be sent to your registered email. b. From the validation email, validate your registration by clicking the link or copy the link and paste to your browser. c. Once the email has successfully been verified, you can now log in from the previous login page. If you did not receive the validation email in your inbox, please check your Junk or Spam folders. 5. If you have already registered with the submission system, please log in by typing your registered email address and password, and click the "Login" button. 6. In case you have forgotten your password or not receiving validation email, please click on "Can't access your account?" below login button and follow the instructions provided to retrieve your password. Once you have recovered your password, you may log in as directed in step 5. 7. For first time login, you need to fill up your profile and click the submit button. Once submitted, user will receive a welcome email. 8. After you have completed updating your profile/login, a welcome screen will be displayed (see below). 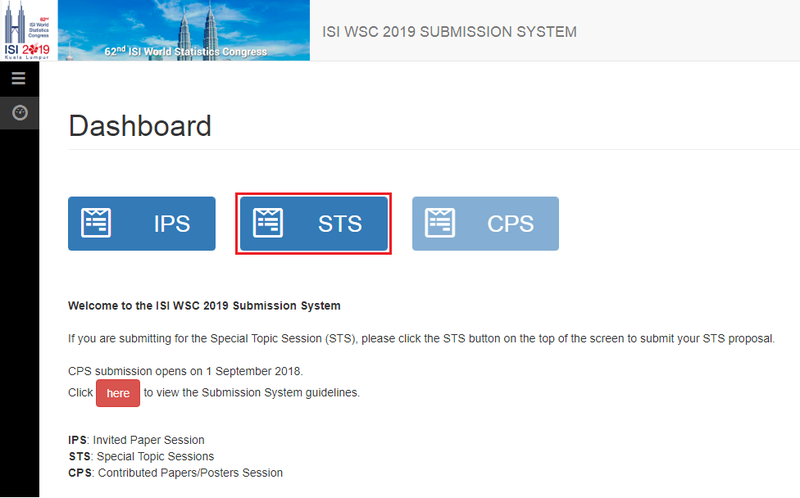 Click the "STS" button on the top of the screen to access the Special Topic Session (STS) proposal submission page. 9. Click the "+ New Submission" button on the top left of the screen to access the Special Paper Session (STS) Proposal submission page. 10. You will then see the system's STS session screen (as below). a. Step 1, fill up the "Title" (not more than 500 characters) followed by "Description" (not more than 5000 characters) and click "Next". b. Step 2, fill up the "Justification". 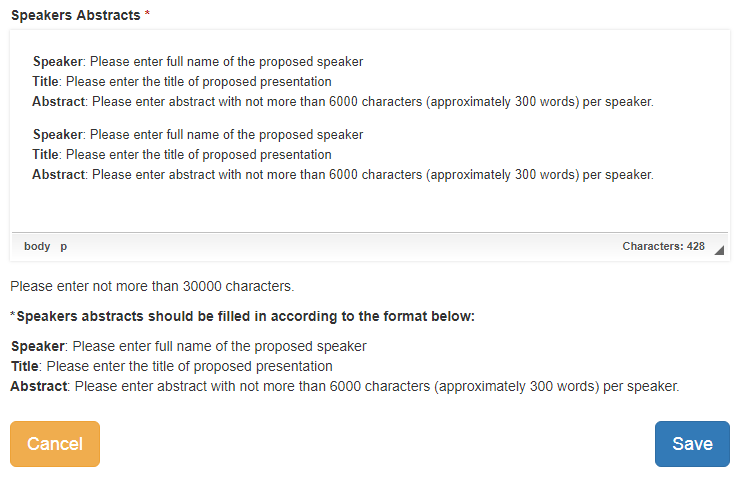 c. Under "Speakers Abstracts", speaker's full name, title of presentation and abstract content are required to support the STS proposal. Click "Save" button once step 2 is done. d. Click on the "Add" button accordingly (speakers, chair, discussant) to key in the details of the session members. 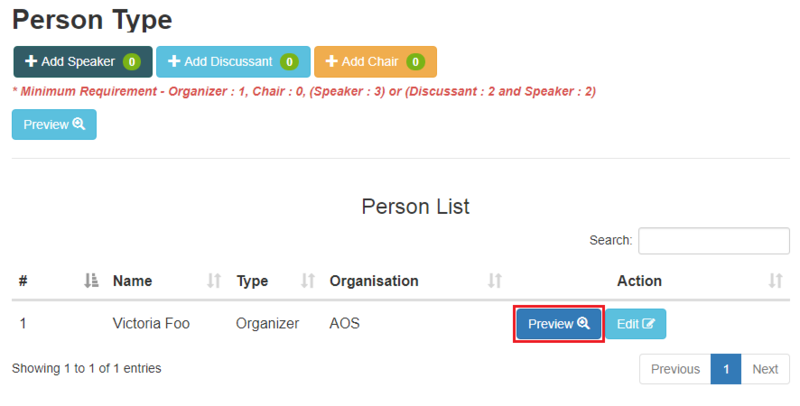 e. Click the 'Save' button each time after completing the details of the member of the session. f. Click on the 'Preview' button to preview information entered. 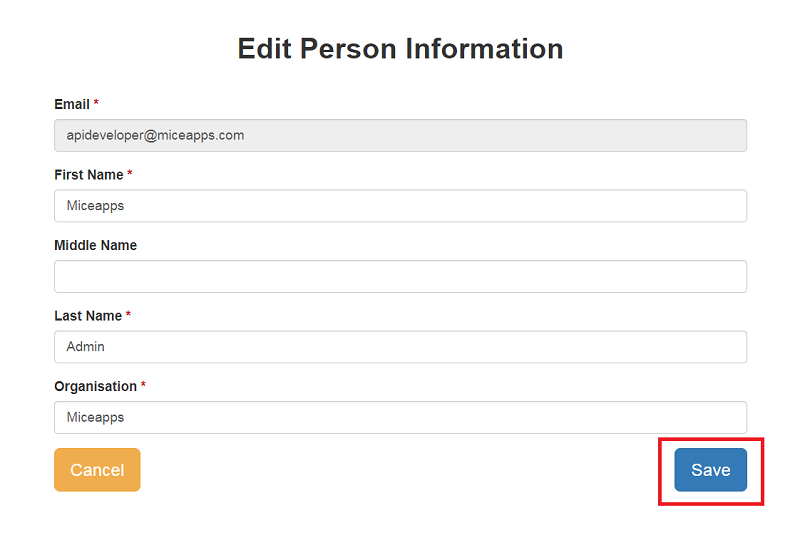 g. Click on the 'Edit' button to edit the person information and click 'Save' button after the editing process is done. 11. Click on 'Submission Listing' button to return to the submission page once the process of adding members of the session is completed or click on the 'Submit' button to complete the submission. 12. Once all the information required is completed, the 'Submit' button will be available. Click the 'Submit' button to submit your proposal.